Welcome to our January newsletter, including information from EUPHA, EUPHA members, European Commission, ECDC and WHO. We hope the information is useful to further your work. The Fifth International Conference on Law Enforcement & Public Health, taking place 21-23 October 2019 in Edinburgh Scotland. EUPHA is co-organiser/sponsor. LEPH2019 is a must attend conference for you. Be part of this biennial conference exploring the complex and diverse intersections of law enforcement and public health, involving practitioners, policy makers and researchers from these and other related sectors. 2nd International Public Mental Health Conference, 19-21 June 2019, Jerusalem, Israel. The upcoming 2nd International Public Mental Health Conference will be held June 19-21, 2019 in Jerusalem, Israel. EUPHA is co-organisor of this conference. It is our pleasure to welcome all professionals involved in public health aspects of mental health to the 2nd International Public Mental Health Conference. Public mental health is a way of viewing psychiatry through the needs of the community, the public resources available to meet those needs, and a call for mental health professionals, epidemiologists and policy planners to rally together to meet those needs. The 21st January 2019 brought the sad news that Stanislaw (Stan) Tarkowski had passed away that morning. Stan was a tremendous supporter of EUPHA. He served as our President in 2009/10 and hosted an extremely successful European Public Health Conference in his home city of Łódź, Poland. 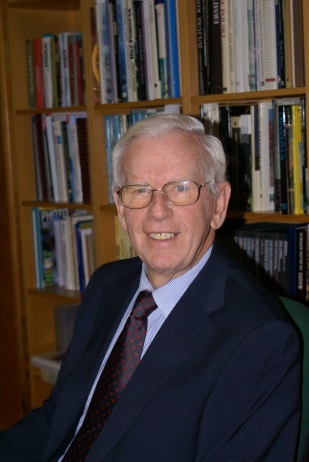 Stan’s formal involvement with EUPHA had begun in 2000, when he attended his first Governing Council, as President of the Polish Association of Public Health. Those present recall his commitment to public health in Europe and determination that Poland should play an important role in developing the public health community. In 2010, Stan passed the baton to Walter Ricciardi, but agreed to remain on the Executive Board for a further four years as Past President, always contributing his wisdom and advice in a quiet, but extremely perceptive and helpful way. This was a time of major organisational change for EUPHA, a process he gave valuable support to, including through his leadership of the Past Presidents Committee. Even after standing down, he continued to support the work of EUPHA but was prevented, by his final illness, from attending the Ljubljana conference. Those who were fortunate to work with him will remember his loyalty, kindness, vision, and support. We will miss him greatly. EUPHA strongly supports the statement issued by the World Federation of Public Health Associations and many other like minded partners regarding the attempt made by the Philip Morris funded “Foundation for a Smoke-Free World” to interfere with global health policy and decision-making. EUPHA has consistently voiced its concern about the tactics being used by the tobacco industry and has issued several statements to this effect over the past months (16 March 2018, 27 March 2018, 30 August 2018). Medical practitioners are increasingly adopting a 'personalised medicine' approach involving individually tailored patient care. PRECeDI, in which EUPHA has participated, has been fostering collaboration on PM research and training, with special emphasis on the prevention of chronic diseases. 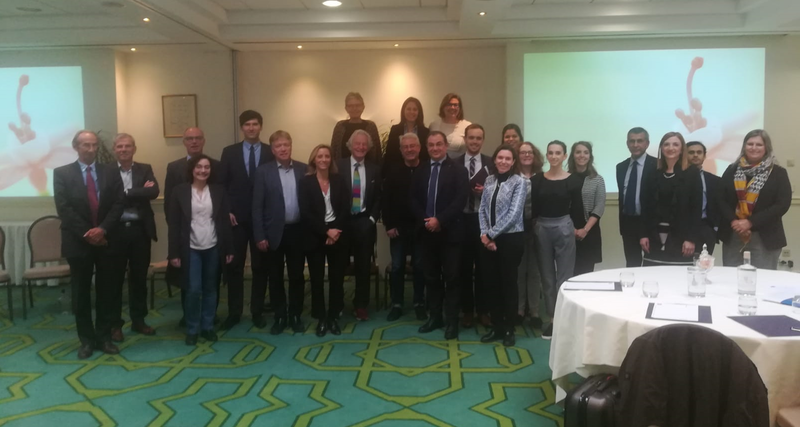 PRECeDI has been successfully completed with a Final Conference in Brussels in November 2018. Read more about how PRECeDI contributes to the integration of Personalised Medicine in the Prevention of Chronic Diseases in the final report and recommendations. Please find below the link to the ECDC survey of healthcare workers knowledge and attitudes about antibiotic use and resistance that the EUPHA section on HTA has received as European Committee on Infection Control member. Your participation would be much appreciated. The 12th European Public Health Conference will be organised in Marseille, France from 20-23 November 2019. The main theme of the conference is "Building bridges for solidarity and public health". Abstract submission opens 1 February and closes 1 May 2019. Registration opens 1 April 2019. Abstracts are invited for workshops and single presentations in all areas of public health research, practice, policy and education. See EPH Conference website for abstract submission tracks. Abstracts are considered for oral, pitch and poster presentations. Workshop proposals are considered for 60- or 90-minutes sessions. Do not miss the opportunity to share your work at the largest public health event in Europe. For less experienced abstract submitters a Mentor programme is set-up. The EUPHA member from Greece, i.e. the Clinic of Social and Family Medicine (CSFM) at the University of Crete School of Medicine, share their experiences with primary care in the latest issue of the WHO Public Health Panorama. The aim of this article is to share the experiences of the Clinic of Social and Family Medicine (CSFM) at the University of Crete School of Medicine in this area over the past decade, in terms of insights gained through research, capacity-building efforts and practice focused on addressing major public-health issues in primary care settings. We provide a brief overview of how data about healthcare delivery, collected from capacity-building and research initiatives, can facilitate effective planning and implementation of the primary-care reform that is currently unfolding in Greece. We believe this information shows how to best design and rapidly test evidence-based approaches for the operationalization and implementation of integrated health care, approaches that can serve to address public-health priorities, improve the health and well-being of the population and support evidence-informed policy-making, in Greece and in settings similar to Greece. Read the January newsletter of the Dutch National Public Health Association (NPHF). The European Journal of Public Health is a multidisciplinary journal in the field of public health. The European Journal of Public Health is published bimonthly. The journal provides a forum for discussion and debate of current international public health issues with a focus on the European region. In 2018, the impact factor of the journal is at 2.782. The 5-year impact factor is 2.902. The European Journal of Public Health is the official journal of EUPHA. Is quality of life impairment associated with chronic diseases dependent on educational level? The Centre for Research on the Epidemiology of Disasters (CRED) at the University of Louvain is offering an intensive summer course for students and health professionals interested in humanitarian aid and health care in emergencies. The course, APHES (Assessing Public Health in Emergency Situations) will familiarize students and health professionals with epidemiological techniques to assess the health impacts of disasters and conflicts on affected communities in emergency situations. APHES will be hosted in Brussels, Belgium from July 1st - July 12th 2019. Please find more information at contact@aphes.be. The deadline for applications is May 31st 2019. The European Commission launched a few new Horizon prizes. Each prize has an ambitious goal to solve a major challenge facing society, without detailing how this should be achieved or who should achieve it. One of them rewards those who can come up with an early-warning system for epidemics. Another one is about Distibuted Ledger Technology such as the one used in blockchain, to develop scalable, efficient and high-impact solutions to social challenges. Doctors with Africa-CUAMM is an international NGO working for health system strengthening in Africa. Our mission is to advocate the universal right to health and promote the values of international solidarity, justice and peace. We work in 8 sub-Saharan African countries (Angola, Ethiopia, Mozambique, Sierra Leone, South Sudan, Tanzania, Central African Republic and Uganda). Our main intervention areas are: maternal and child health, nutrition, infectious diseases and no communicable diseases. Public Health Experts in CUAMM work at the district level to improve the management and the quality of services. They ensure technical assistance to local health authorities, carry out supervision and training at the peripheral level, strengthen the information system, collaborate to data collection and analysis and promote the dialogue with the community. To work with us we ask to be skilled in English, Portuguese or French, to have previous work experience and to be available to stay in the field for a minimum of 6 months. Desirable have experience in low-income countries. We offer a work contract which provides a salary, insurances, required visas and permits, round-trip flights and accommodation. Discovery of genes, possibly carried by birds or humans, shows rapid spread of crisis. Presenting The Lancet Digital Health, a new gold Open Access journal published by The Lancet. Are EU citizens reaping the benefits of the Cross-border Healthcare Directive? Andrzej Rys, Director responsible for health systems, medical products and innovation, Directorate-General for Health and Food Safety, European Commission, says that the Directive on Cross-border Healthcare has furthered cooperation between health systems and clarified the rights of patients when they receive healthcare in another European Union country. As legislation that clearly impacts EU citizens, it should be better known. He Jiankui, the Chinese scientist who rocked the field of genetics when he announced in November that he had created the world’s first gene edited babies,1 will be “sternly dealt with,” said China’s government, which is believed to have been holding him under house arrest for weeks. A new study shows promise for epigenetic treatments for humans suffering from Alzheimer's disease. Since the advent of cheaper whole genome sequencing there has been much discussion and debate on whether we should routinely sequence all babies shortly after birth. Did you miss TEDxNSPOH (Netherland School of Public & Occupational Health) - watch the talks on YouTube. Summary:Public transportation systems provide numerous economic benefits for a community. An added public health bonus provided by such systems may be lower obesity rates. A new study compared and analyzed county data from 2001 and 2009. They found that a single percentage-point increase in mass transit ridership is associated with a 0.473 percentage-point lower obesity rate in counties across the United States. The National Collaborating Centre for Methods and Tools (NCCMT)(nccmt@mcmaster.ca. 4th Congress Hidden Hunger: Hidden hunger and the transformation of food systems: How to combat the double burden of malnutrition? What is the evidence on the policy specifications, development processes and effectiveness of existing front-of-pack food labelling policies in the WHO European Region? The European Commission’s Scientific Committee on Health, Environmental and Emerging Risks (SCHEER) published a statement and a position paper on emerging health and environmental issues. The EU-funded project EUDONORGAN will hold its next conference titled Why Organ Donation Matters to Us All on Monday, 18 February in Brussels. The event will be hosted by the European Parliament in collaboration with the Belgian Ministry of Health. How do advanced diagnostics support public health policy development? WHO/Europe has launched a new video highlighting a few of the many factors that influence health, all of which are included in the SDGs. Viewed from the perspective of children who will be teenagers by 2030, the video states, “They deserve to live in a healthier world where air pollution, child abuse and deadly diseases are bad dreams, not daily realities”. The SDGs offer the clearest path for building that better, healthier future together. Watch the video.